There are a multitude of ways to create content for your target audience – whether it’s creating from scratch, using done-for-you content (like Content Sparks), or even crowdsourcing. Either way, your ultimate goal is always to meet the needs of your ideal customer. We’re talking about the people out there already looking for what you have to offer, or perhaps the ones who don’t yet know how much they need you. But who are those people exactly? And how can you be sure your content will have an impact on your business? When you’re creating content using your brandable Content Sparks’ materials, it’s important to make sure that you customize it for your target market and your brand. Then you'll have to get it in front of the right people – those who'll take actions that grow your business. To do all that, there are a handful of essential questions you need to ask yourself to direct any type of content you create – regardless of how you create it or how you intend to use it. You should revisit and adjust this information regularly as you learn more about your market, or as your customers' needs change. So keep that in mind as you put your profile description together. It doesn't have to be perfect straight away. If your company is already in motion, it’s best to analyze and validate who you're currently targeting, to ensure you’re on the right path. 2. 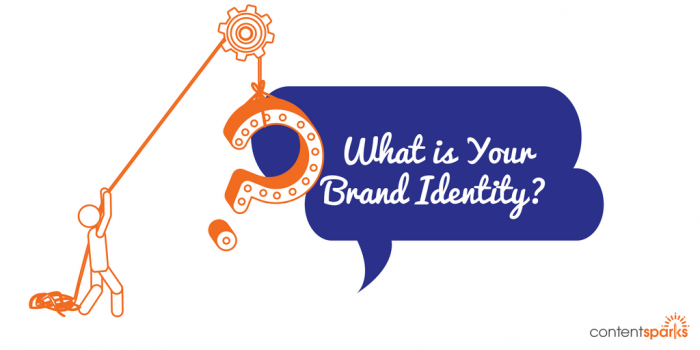 What is Your Brand Identity? Your content should always be in line with your brand. But that means making sure you're crystal clear on what your branding is in the first place! What is the message of your brand? What emotions do you want your customers to feel? Does it reflect your core values and personality? Maybe you provide a special service, offer a unique benefit, or have an innovative feature that should be highlighted in your content. All of this is essential for attracting like-minded people looking for what you have. A fun and effective exercise for defining the voice for your content is to write out the emotions you want your customers to feel. Then decide if your logo, tagline, and content reflect these emotions. Find out more about putting together your brand voice here. 3. 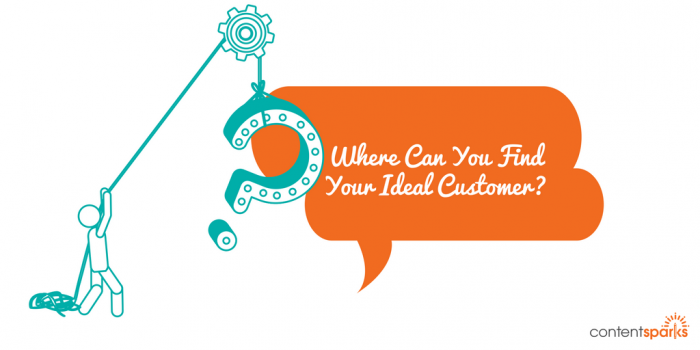 Where Can You Find Your Ideal Customer? Another key part of customizing your content for your target audience is making sure you use their words and understand the way they're thinking. And that means you need to regularly interact with them. Having conversations with your target market starts with finding out where your customers spend most of their time. Identify where they look for information related to your topic, whether it’s online or offline. Once you have a list of these places, explore the best ways to interact. Watch current conversations going on, ask questions, contribute to answers. You can even set up formal discussion groups on specific topics related to your content. Then use that information to tailor your content to their needs. 4. What are Your Primary Calls-to-Action? When you customize your content for your target market, be sure to always include a call-to-action (CTA) that’s directly relevant to their needs and your business goals. If you don't have a specific goal for your content, then you're just adding to the noise online…. and doing nothing for your business. For example, if your content is directed at converting new customers, to encourage them to sign up for a service or place an initial order, you can offer a special discount or incentive that’s related to your product or service. Your goal here is to make a sale. If you want a visitor to your blog to sign up for your newsletter, tell them to subscribe to get a special gift when they do. Your goal is to get them on your email list, so that you can start nurturing a relationship with them. If you just want a reader to explore your website further, tell them which links to click on next to read more. In this case, your goal is to build their awareness of your brand and the content you offer, as well as increase your ranking in search engines. 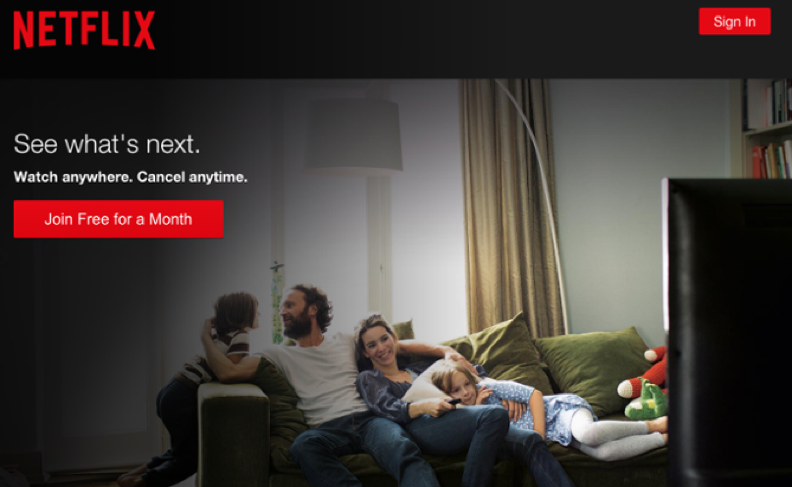 Below is a great example of a call-to-action from Netflix. They offer one free month of service to attract new subscribers. You can learn more about writing the perfect CTA here. 5. 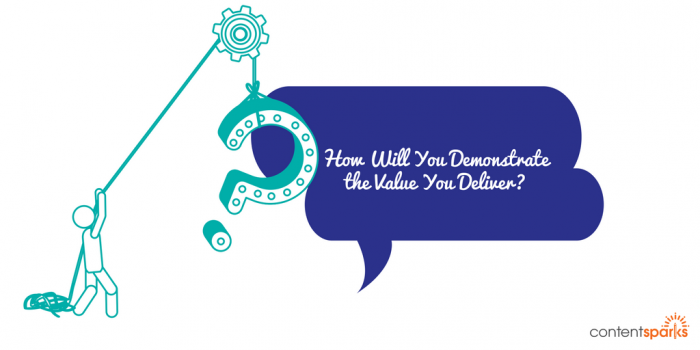 How Will You Demonstrate the Value You Deliver? Finally, no matter what your business goal is for your content, it's still all about your audience. Always think about the value you bring to your target customer’s life with the content you’re creating. Then add or repurpose your content to make sure you’re delivering that value. Your focus shouldn’t be on how great your service or product is, or even worse, how amazing you are. It should be on solving a problem or need for your ideal customer – the reader of your content. To make your value clear, try summarizing your content in a way that your audience will immediately understand the benefits they’ll get. Keep it personal and tailored directly to them for maximum effect. You can make the benefits of your content easily visible by taking the key points from whatever you're publishing and repurposing them in a quick to digest format. Try using bullet points, images, summary slideshows or videos that highlight key messages from the content. For content related to your products or services, a proven tactic for demonstrating value is to highlight customer testimonials. (Get permission first to include their photo and a link to their website.) You’ll be surprised by the reaction. It’s an authentic and powerful way to give social proof while providing a picture of how your customers’ lives could change with your product or service. 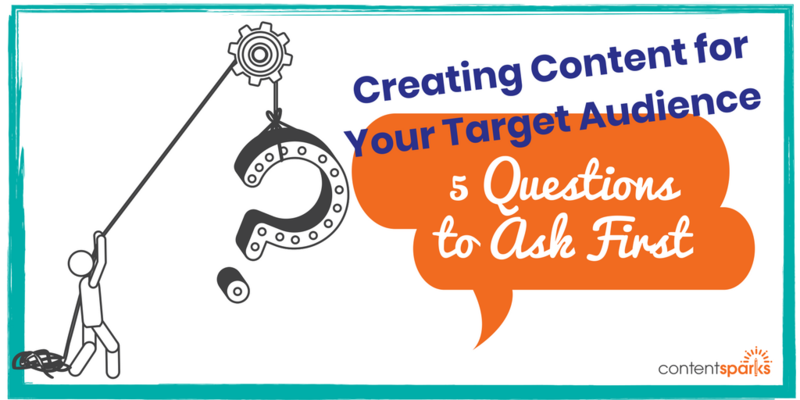 Whether you’ve published Content Sparks content before, or you’re just gearing up to rebrand and use your first piece, it’s worth spending a little time strategizing and answering these 5 questions. You’re guaranteed better results when you’ve put the effort into targeting your content precisely to your ideal audience vs. using something generic. And, after all, the whole point of investing your time and money in content is to grow your business! We've created a handy worksheet to help you work through each of the questions outlined here. Download the PDF for free by clicking below! 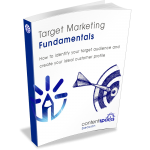 You can learn AND teach your own clients how to identify their target market and create an ideal customer profile with our brandable, done-for-you course: Target Marketing Fundamentals.